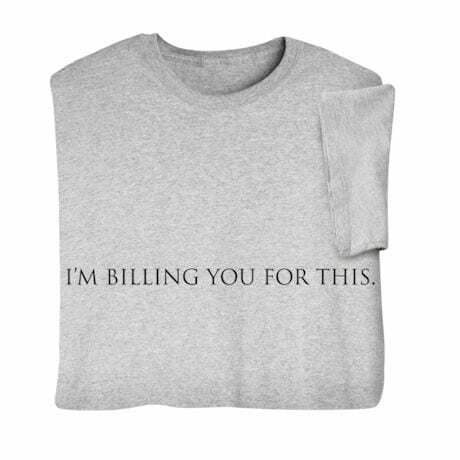 A shirt for the lawyer, doctor, or financial consultant who's always being buttonholed for free advice. Simply point at your chest and smile. Sport gray sweatshirt is 50/50 cotton blend; T-shirt is preshrunk 100% cotton. Sizes M-XXL. Imported.